Merry Christmas fever will prevail at #JozisNo1Outdoors when the jingle bells echo the annual Christmas Carols come the weekend of the 1st and 2nd December 2018 at 14h00 till late. 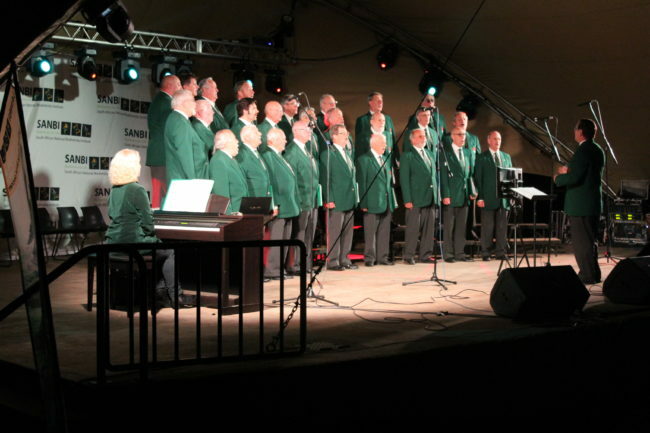 Led by the famous Welsh Male Choir the singing will reverberate over the ridges of the Westrand ushering the spirit of the festive fever. ‘Joy to the World’, ‘O come let us adore him’, ‘Silent Night’, ‘Jingle Bells’ are some of the songs that will constitute the repertoire for the event. There will also be various artists including Venetia Rose, Jaco Vee, Maryna Booysen, I am Second etc who will also entertain the crowds as curtain raisers from noon. Kids will not be left out in this family oriented event as there will be many other activities such as face paintings, jumping castles etc for their treat. Christmas is time for giving, so there will be markets selling a variety of gifts and unique items for that present or just for personal indulgence. Tickets prices for the event are available online on https://www.webtickets.co.za/event.aspx?itemid=1484880508 for R80 per adult and R20 scholars. As this is a charity fundraising event donation boxes for monies etc will be provided at the entrance! Candles and lanterns will be sold at the gate. See you there!